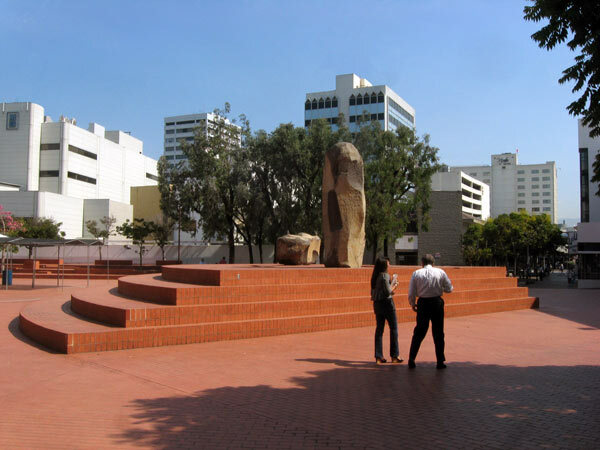 Born in Los Angeles, California, Noguchi spent his youth in Japan before attending private boarding school in Indiana. 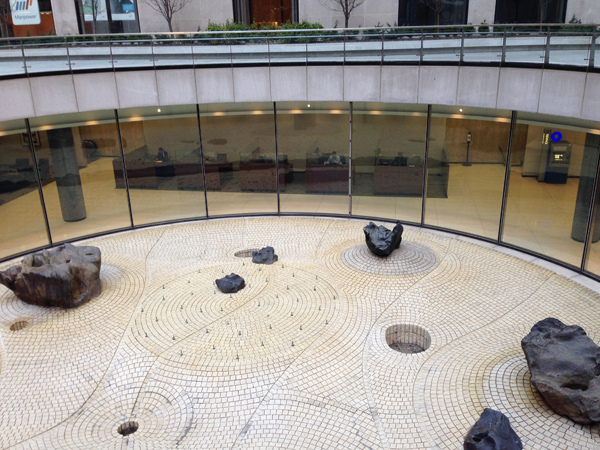 He was studying medicine at Columbia University when he began sculpting. 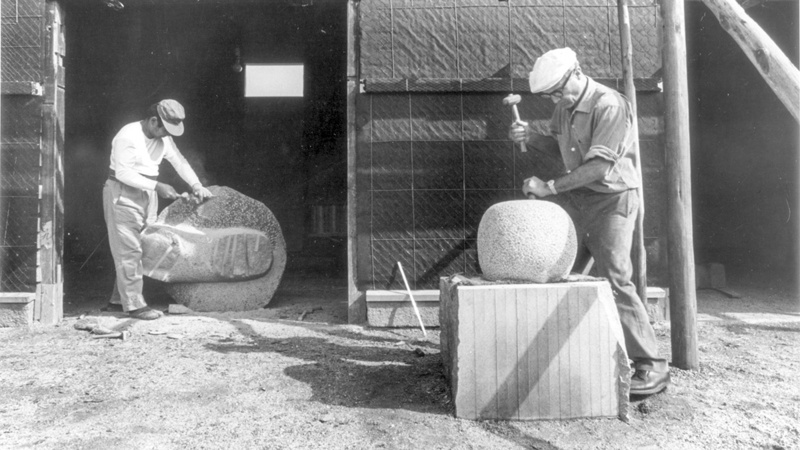 In 1927 Noguchi was awarded a John Simon Guggenheim Fellowship and soon thereafter moved to Paris to apprentice with the Modernist sculptor Constantin Brancusi. He traveled and lived in Europe, Asia, and Mexico during the 1930s before returning to New York. 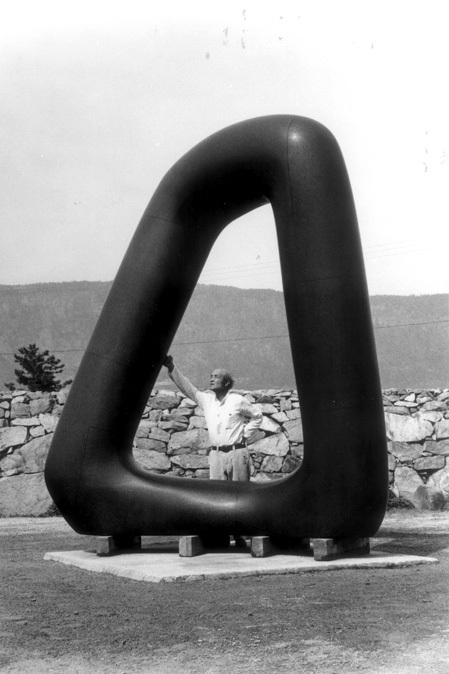 His first significant U.S. commission, in 1938, was for a large public sculpture at the Associated Press building at Rockefeller Center. During World War II, he volunteered to work in a Japanese internment camp for several months, primarily to get to know his fellow Japanese-Americans. 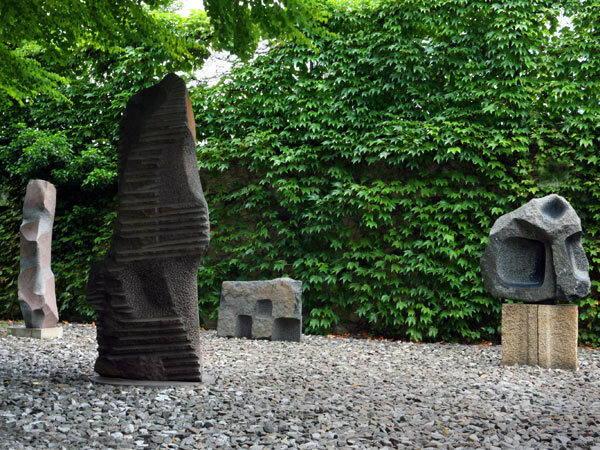 With his Japanese Garden for the UNESCO headquarters in Paris in 1956, Noguchi made a name for himself designing plazas, playgrounds, and gardens. 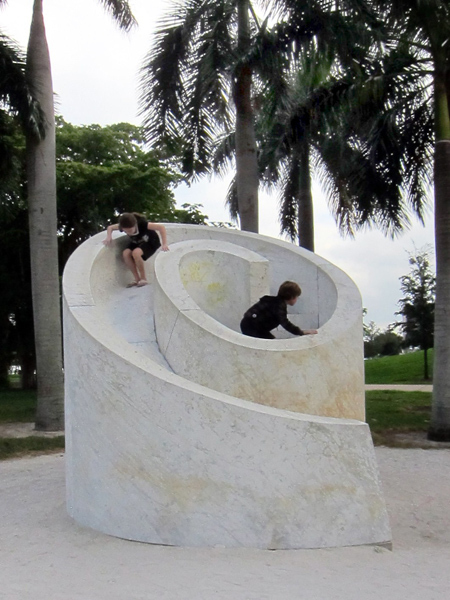 All of his designs featured large-scale sculpture as an integral aesthetic and social element. 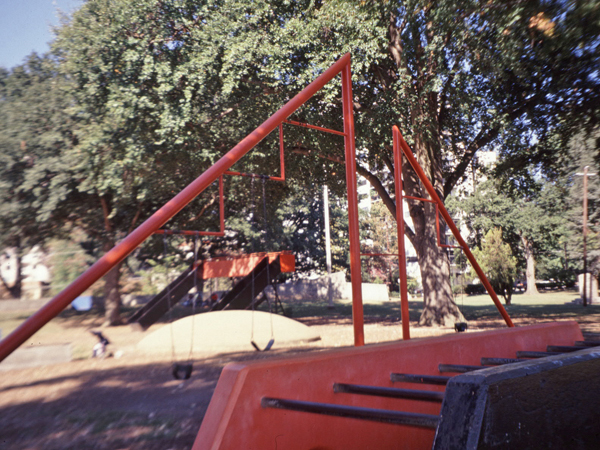 Between 1960 and 1966, he worked with architect Louis Kahn on a playground design for New York City's Riverside Park that was never realized, and implemented Playscapes in Atlanta, Georgia's, Piedmont Park in 1976. 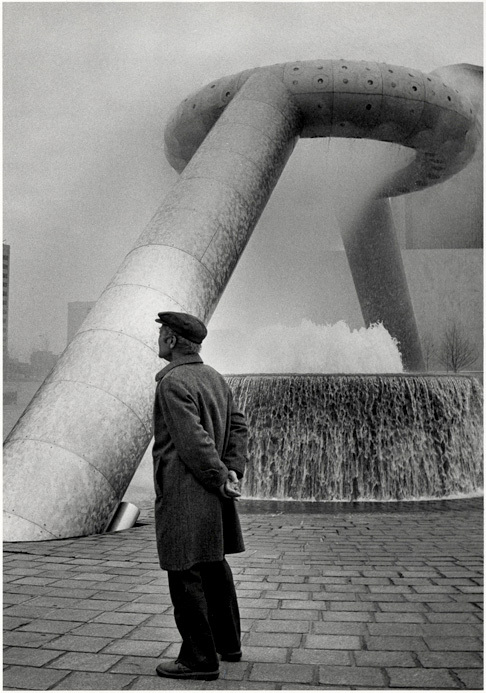 In the 1980s, Noguchi redesigned Bayfront Park, a Beaux-Arts urban park in Miami, Florida, and he opened his studio as the Isamu Noguchi Garden Museum in Queens, New York, in 1985. 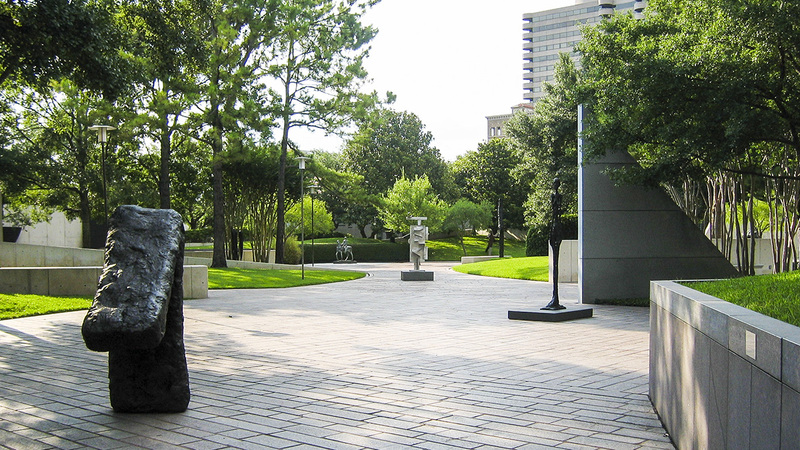 In 1986, the Lillie and Hugh Roy Cullen Sculpture Garden opened in Houston, the first sculpture garden created by Noguchi in the United States to house the work of other artists. 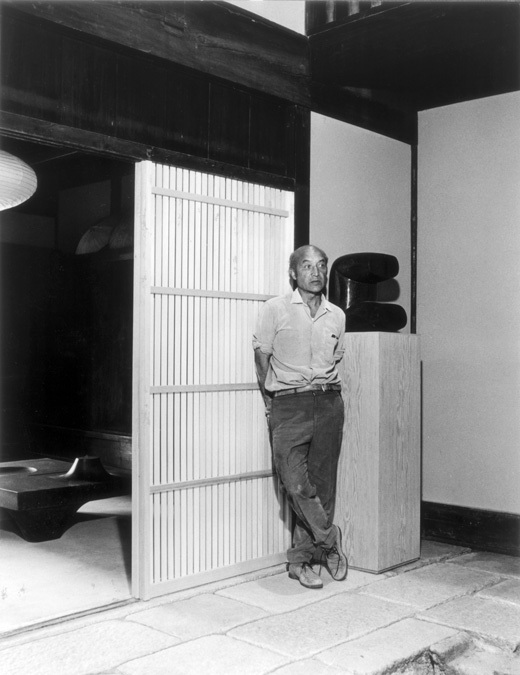 Also known for his set design and furniture design, Noguchi was recognized towards the end of his life for his distinguished career in the arts. He represented the United States at the Venice Biennale in 1986, received the Edward MacDowell Medal in 1982, and the National Medal of Arts in 1987.